My path is full of twists, turns, twirls and unexpected joy! I've always been a dreamer. Running through my parent's forest, building forts, playing imaginary games. I love people, but also love time to myself, time to think, ponder, give way to my imagination, let my thoughts dip, and dive and swirl and soar. Always on the tip of my mind is WHY? and WHY NOT? In my BK years (that's Before Kids in case you were wondering), science had me in it's grips. I was in the forefront of technology immersed in developing new materials for space applications - running experiments, writing articles, giving seminars, even writing a US Patent. It's all about paying attention to details and yes, of course - asking Why? and Why Not? Photo Credit: Money Magazine wrote an article about how even people who might seem to be clever in one area are not necessarily smart about investing money. Yup - I was the Rocket Scientist in 'You Don't Have To Be A Rocket Scientist Or Brain Surgeon'. And yes, they asked me to have that very dour look on my face. And then I met my prince and had kids. Luckily good financial planning (my hubby's doing not mine) meant I was able to stay home with them... but of course I never stopped dreaming - the tickle of creating art always bubbling up and swirling in my head. About this time a lovely, creative neighbor took me by the hand and led me into a bead store. I was smitten with the color! And so launched a decade of teaching, traveling, writing - my artistic voice pushing further and further into abstract design, freeform style with just a touch of structure (the engineer in me!). In time my restive creativity started bubbling up again and I realized that it's more than beads, more than about a single creative medium. It's about pushing boundaries, exploring new ideas and of course always, always asking why and why not? I believe that we don't have to be just one thing in life, that our lives and passions and careers evolve, change, grow – all we have to do is answer the call, follow new paths and work hard. 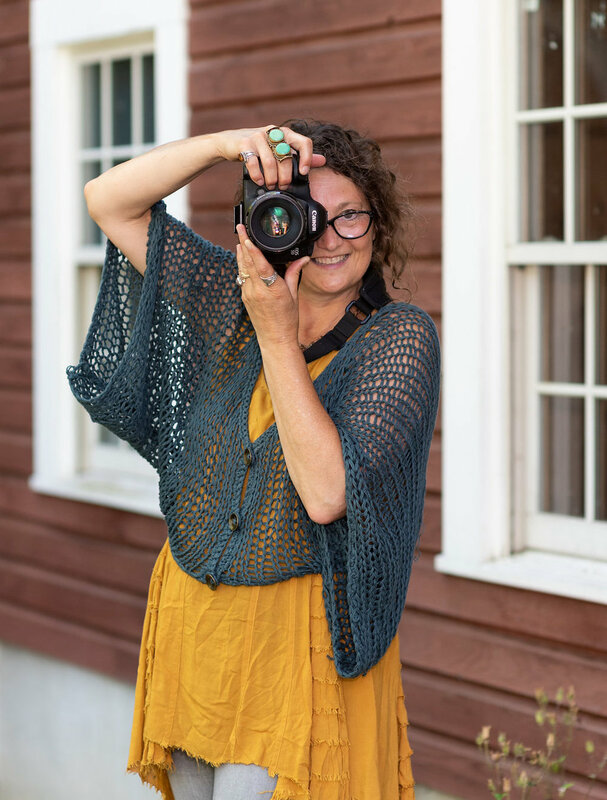 My journey has taken me into photography, garden design, painting, fiber art, floral design, color consultation, writing, teaching... and I'm just getting started! One thing I’ve learned in this crazy, wonderful, crooked, joyful journey is that there are no limits, that creativity is as infinite as space exploration. That possibilities are open to those that leap into the unknown and ask why not? It doesn't matter that we start with our feet on the ground, it's where we go, what we dream of that matters. I’ve finally erased ‘I can’t’ from my vocabulary and look forward to seeing what lies ahead, what glorious, colorful paths there are to follow! I hope you walk, skip and dance with me along the colorful path ahead!